We are excited to announce that our new Queensland workshop is now open. Located at 1/47 Link Cr, Coolum Beach Industrial Park. 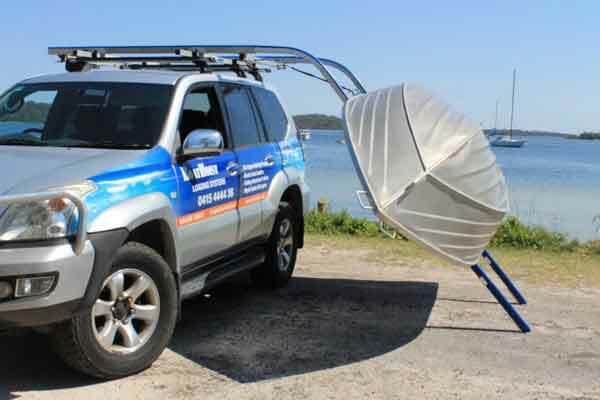 We will now be able to offer our Queensland customers the convenience of a local fitting and pickup service along with a display of our full range of boat and kayak loading devices and related products. At BoatHoist, we are happy to have spent the last 12 years manufacturing high-quality electric boat loaders, kayak loaders, folding boat trailers, outboard motor trolleys and a number of boat accessories such as fishing rod holders for our loyal customers. We are proudly Australian made and owned, making all of our kayak and boat equipment here, hiring local workers, and using supplies sourced locally. Our business continues to grow, and in support of our NSW facility in Nelson Bay we have now opened a second workshop on Queensland’s Sunshine Coast. 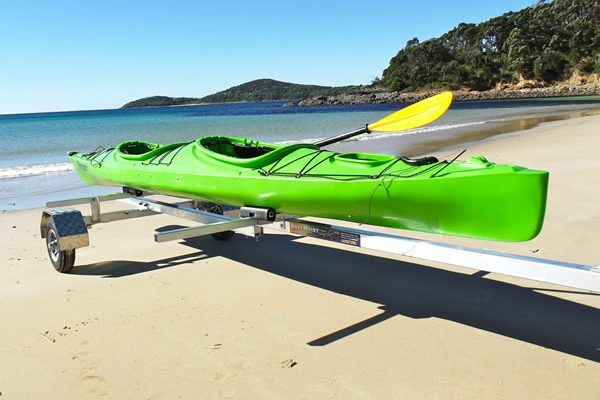 With 2 workshops we will continue to manufacture and fit high-quality kayak and boat loaders, folding aluminum boat trailers and related boating accessories made specifically for tough Australian conditions. We always focus on 3 important qualities when designing and manufacturing new products: strength, reliability and ease of use. The result is lightweight kayak and boating equipment made from structural grade aluminum. 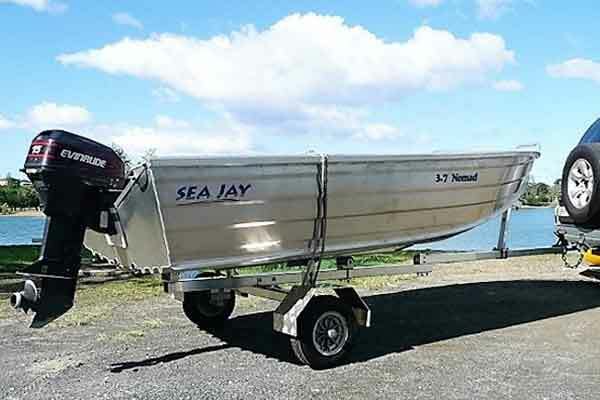 Equipment that can be used to quickly and easily load or unload your car-topper boat or kayak, which is also strong enough to stand the test of time. All products come with a 3-year structural guarantee. Though our kayak and boat products & accessories are designed in Australia, for an Australian audience, it's certainly not the only place they are used. We now sell the Strongarm Kayak loader in the USA through Amazon, introducing the rest of the world to our top-of-the-line products. One of the most popular boat loaders is the Electric SideWinder Boat Loader, which is designed to bolt to the heavy duty roof racks on all types of 4WD vehicles. The SideWinder can handle loads up to 130kg and uses a removable 12 volt electric winch running off the vehicles Anderson plug. You can easily control the SideWinder via the hand held infrared remote control. The SideWinder is manufactured using lightweight aluminum, only adds a total of 30kgs to your roof load and has been designed to be easily fitted by the average home handyman in under 3 hours. 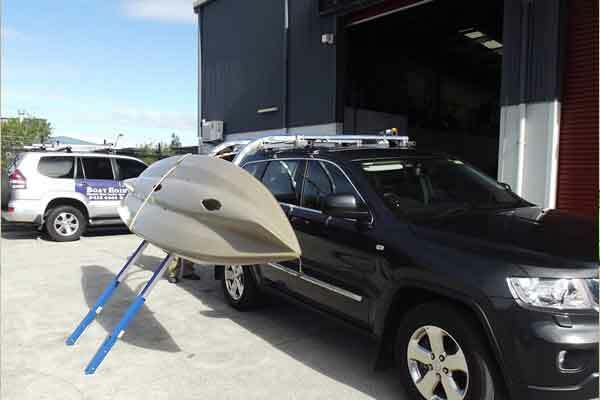 We supply the SideWinder Boat Loader as a flat pack and freight to all Australian states or we offer a fitting service at our workshop in Nelson Bay NSW, or on the Sunshine Coast in Queensland. We are confident that the SideWinder is the strongest, lightest, and safest boat loader that you'll find on the market today. Combine that with its ease of use and long lifespan, and you've got yourself one of the best all-around boat loaders on the market. The RT (roof top) trolley and the OMT + A-Frame mount are two of our most popular outboard motor carriers. The RT trolley is used in conjunction with the SideWinder to allow for loading an outboard motor into the boat and then winching the boat and outboard motor onto the vehicle roof. 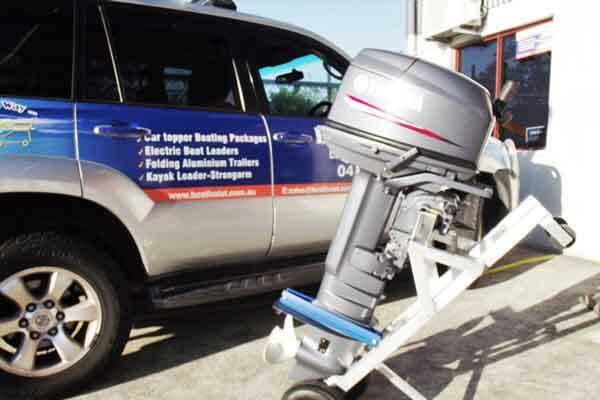 It's a great tool that makes it significantly easier to load and transport your boat and outboard motor. The OMT is designed to load an outboard motor into the back of a vehicle or dual cab ute. This trolley can also be combined with an optional A-Frame mount if you wish to carry your motor on the a-frame of your caravan. The aluminum folding boat trailer quickly became one of our top selling products. The standard boat trailer weighs only 40kg, bolts together in under 10 minutes and will carry a boat up to 3.95m long. The trailer is RMS approved and comes with both a VIN# and compliance plate, all you need is a trailer light board and it can be registered in all Australian states without any complications. The Folding Trailer can also be supplied as a kayak trailer or to suit an inflatable boat. We also manufacturer a line of leading kayak loaders. There is the StrongArm Kayak loader and also our SideWinder electric kayak loader. 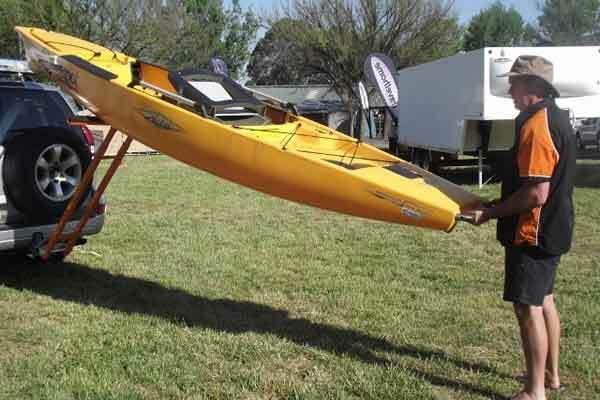 The StrongArm kayak is an award-winning solution for the safe and easy loading of canoes or kayaks onto vehicles. It is crafted from high-end powder-coated aluminum and is supported with a robust steel base plate that locates over a standard 50mm tow ball. The loader is secured with steel tee bolts. Loading and unloading of kayaks take less than 30 seconds. The StrongArm is designed to be durable, strong, and easy to use. A single person, man or woman, can load a kayak onto their vehicle by themselves. In 2011 it was the winner of the ABC TV news inventors award. You won't need any additional tools or fitting, just the loader and the kayak. BoatHoist is locally owned and operated and is an accredited “Made in Australia” business. Since first starting in Sarina, North Queensland back in 2006 BoatHoist has grown to be one of the best cartopper boating suppliers in Australia. All of our products have stood the test of time, and some of the roughest roads in the country, to support the claim “best in the business”. Combine our range of products and expertise with industry leading suppliers like Yakima Lock n Load roof racks and Mako boats we can offer our customers a “one stop shop” for all their cartopper boating needs. With our Head Office located on the Sunshine Coast, Queensland and our main manufacturing workshop based at Nelson Bay NSW, we are well positioned to service our growing customer base across Australia well into the future.